Biff's Funky Scrappy Blog: Flippin' eck!!!! 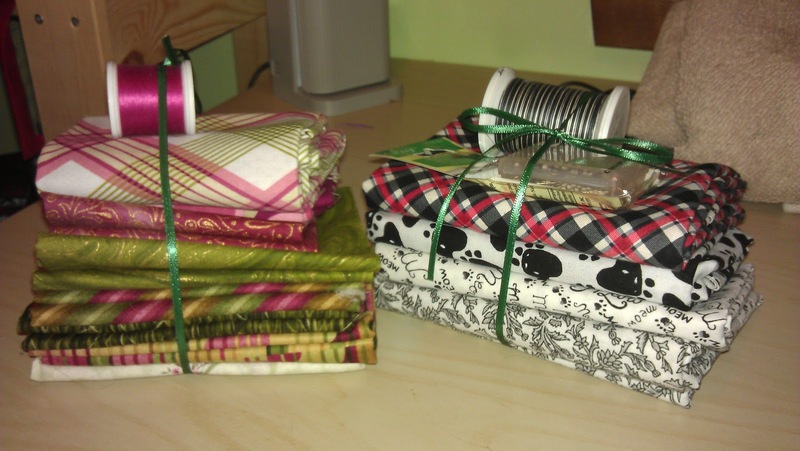 Actually at the end of November I received a fantastic little bundle of fabric and after a little thinking time, a little playing time I turned it into this little number. 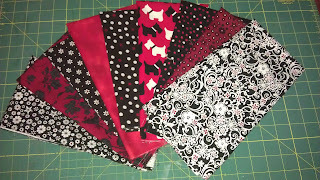 and some straight line quilting in the body of the quilt. 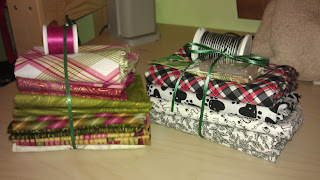 MIL's christmas present - DONE! Then christmas rolled around and after a hectic month at work and everything else in the run up to the festivities I decided to take a break from everything til the start of January. 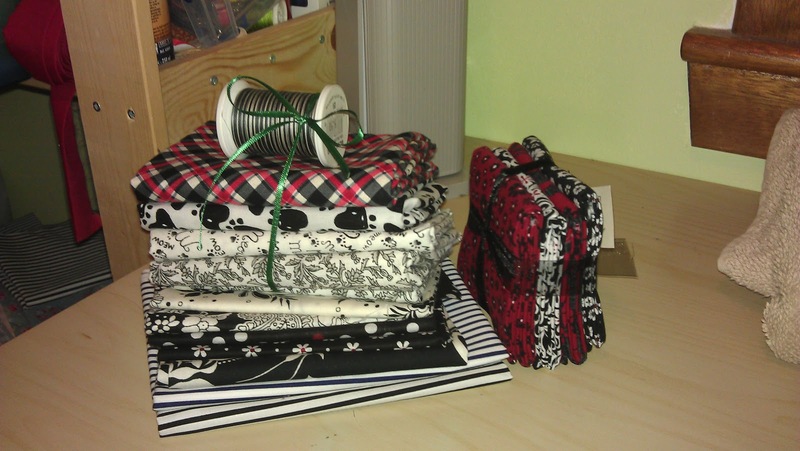 I got some fantastic fabric as a present so had plans to indulge myself and get creative with this little lot. 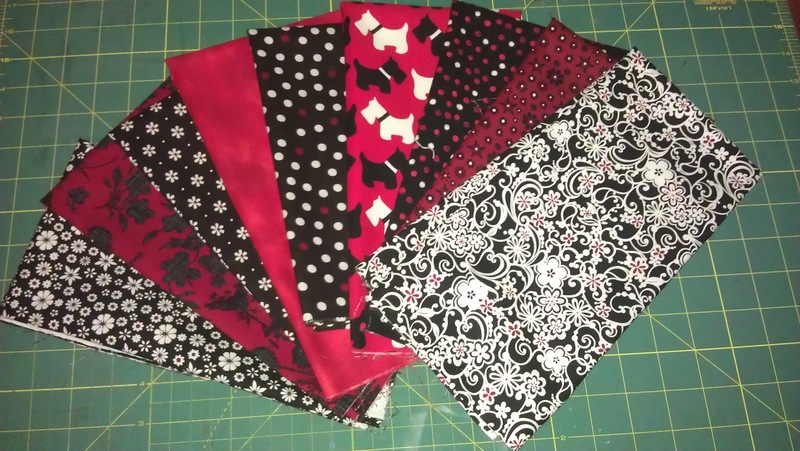 The second picture is a small collection of red/white/black fabrics I'm gathering as I've had plans to do a quilt in those colours. Just waiting for the right pattern to jump out at me. So the festive season was lovely and peaceful for a few days, we took the monster ten-pin bowling for the first time and had a really good time, watched lots of films, played with all his new toys but then some family stuff happened which put a dampner on things for a little while. Then it was back to work and talking about hitting the ground running, I feel like I've spent January constantly chasing myself and getting nowhere. Then some more family stuff happened, one of my uncles' died after a relatively short illness so that kind of shook me a bit. We hadn't seen each other for about 18 months but everytime we did it was always like old times, he was always a happy man so it's really sad that he's no longer with us. So to round off January I've got a bit of a health thing that means I need a little op this week. While it has been a bit unexpected, it has resulted in having to take some time off work. All of this stuff going on has meant that January has been very quiet on the making things front. Had lots of ideas but no time/energy. So never one to waste an opportunity I was trailing through some blogs the other day and came across this fantastic one on this fab blog. 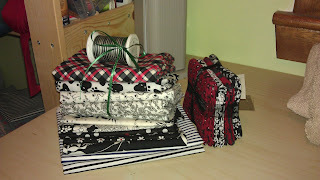 So last night I got together this little lot and started cutting. Boy had I forgotten how stress relieving it is.